Freely ranging badgers, an iconic and protected species in England, have been accused of spreading bovine tuberculosis, a disease that is endemic in domestic cattle worldwide. Intensive confinement practices in dairying operations contribute to the spread of TB in cattle, but addressing this aspect of disease transmission is ignored in favor of the wanton slaughter of these animals, a solution that is cruel, ill-considered and likely to prove ineffective in terms of bovine health. The slaughter, made to sound somehow antiseptic, selective and bloodless by calling it a 'cull', is scheduled to begin sometime in late October or early November of 2012. 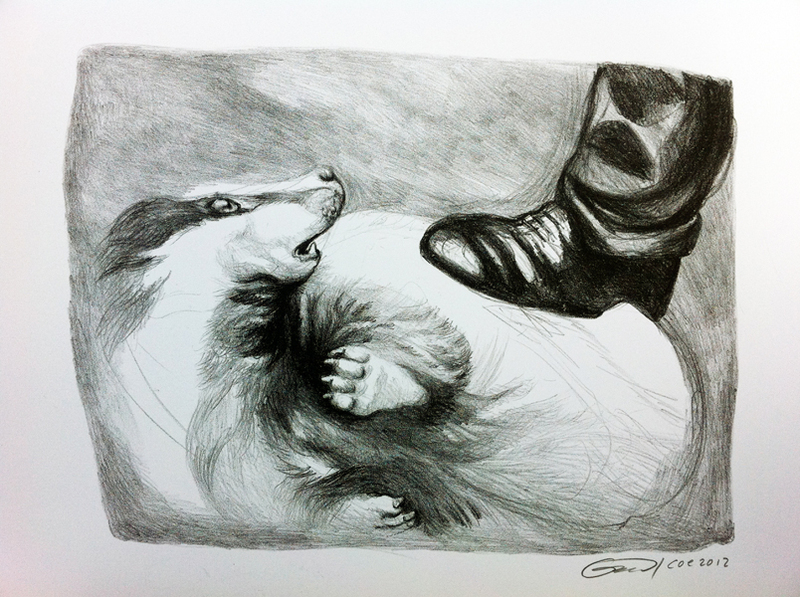 The Badger Trust has recently published an open letter to the British government, signed by 31 scientists protesting the killings under the heading "Ministers of Muddle". All can agree a cull is cruel. Given its cruelty and the uncertainty of the outcome of the proposed action, many in England do not want to see the cull carried out. Their protests are pitted against other constituencies, frequently members of the Tory (conservative) Party. 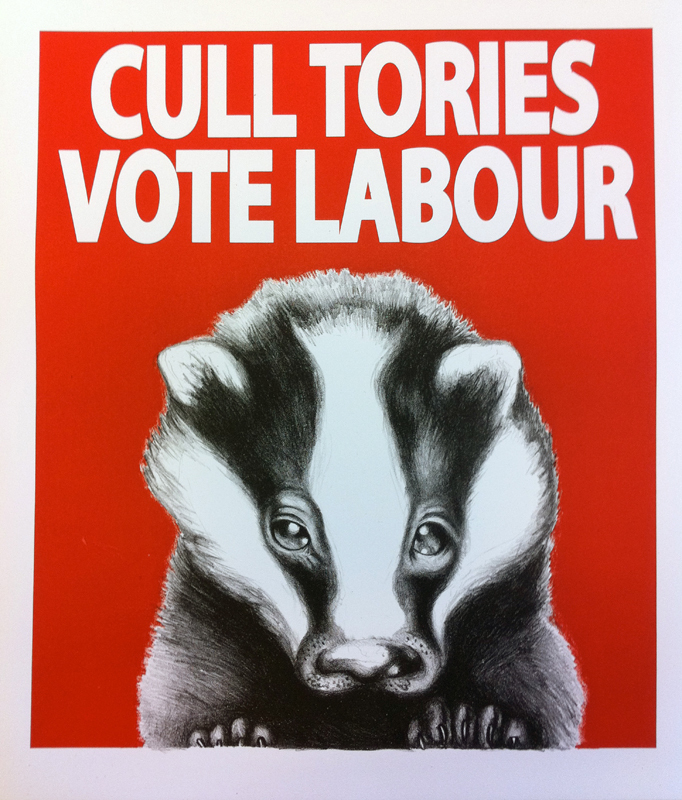 Many Tories support the badger extermination using rationalizations that echo their desire for a lifting of the current ban on fox hunting: i.e., animals living freely in the countryside are said to represent a health danger to domestic animals. 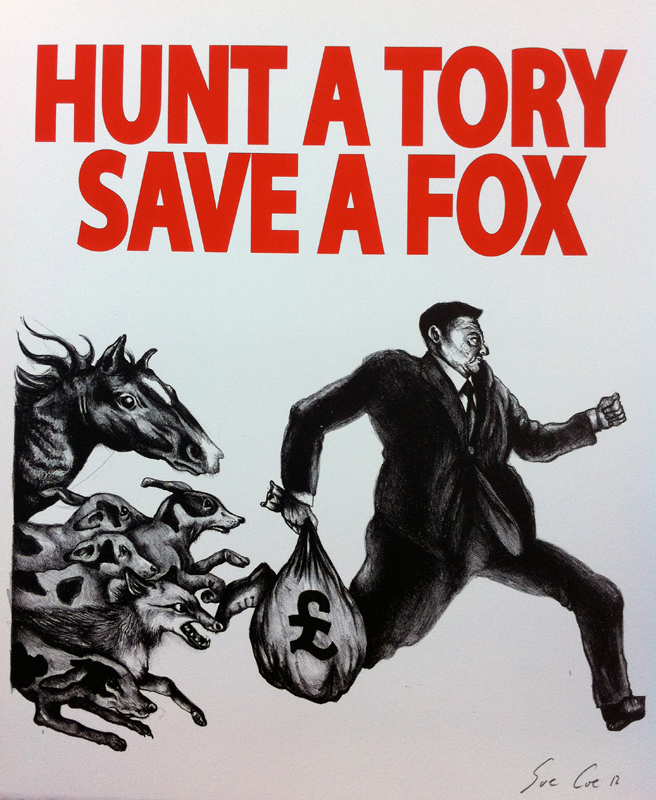 Fox hunting is a controversial, ritualized slaughter as practiced by a "to the manor born" elite (who generally identify with and vote Tory). 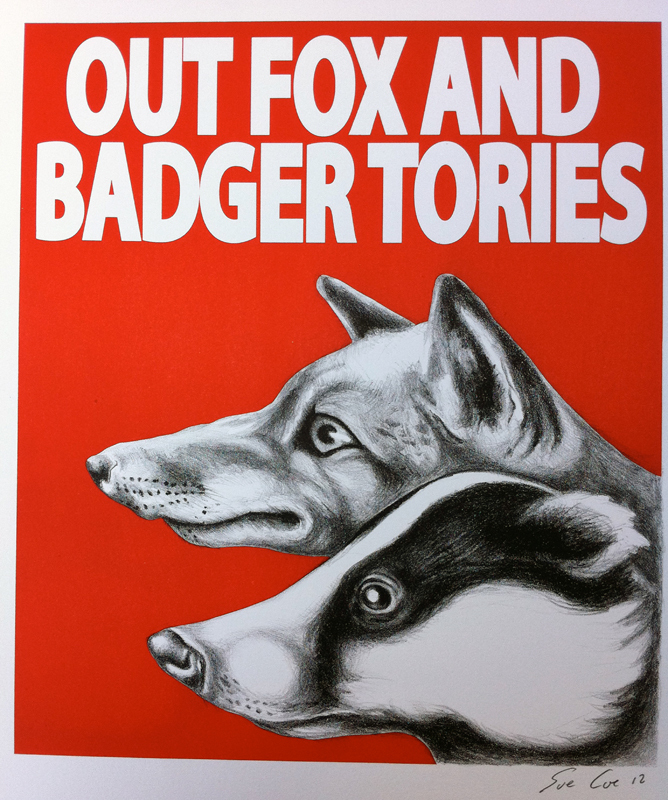 In October 2012, Sue Coe and students from The University of Northern Illinois, Print Department, worked together on a Badger Cull Project to produce four lithographs: Cull Tories Vote Labour, Hunt a Tory/Save a Fox, Out Fox and Badger Tories and Baiting. 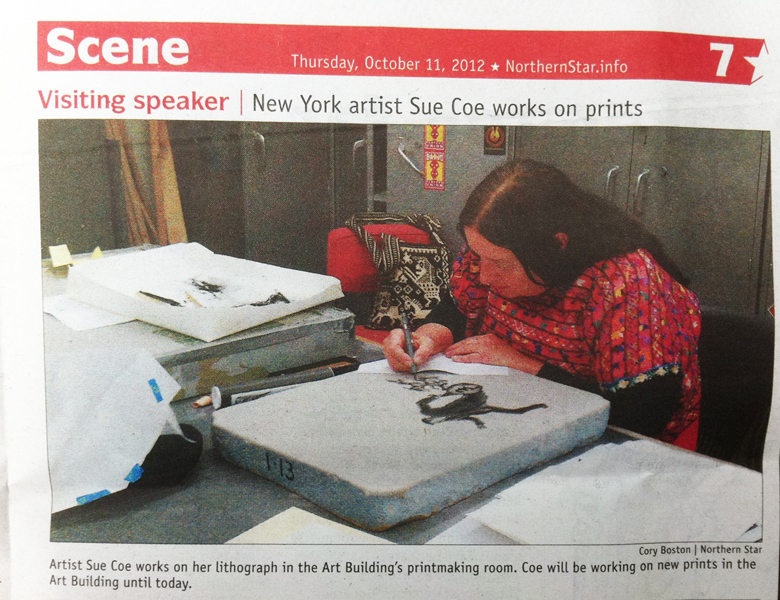 The images below and on the next page show the prints and the printmakers during the process.